Read how the happy couple met and fell in love. DeCarlos Hill first locked eyes with Astride Bellavoix when he was a freshman and she was a senior at the University of Central Florida. “I thought she was the one that got away,” he shares. Eight years later a chance e-mail reunited the two and their love affair began. Each winter holiday they enjoy a couple’s photo shoot. DeCarlos had planned to propose last December but didn’t get Astride’s ring in time. When he read the Storybook Wedding callout in her ESSENCE, he saw it as a sign and was selected from more than 200 letters. 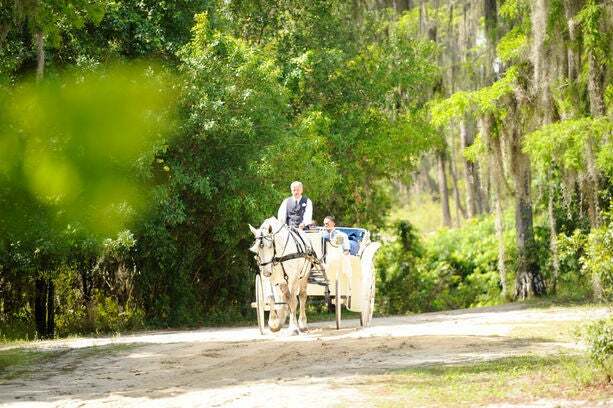 Like many of us, the Orlando couple seldom enjoyed the attractions in their own city. 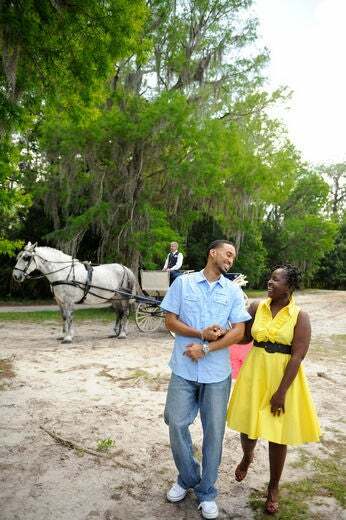 They relaxed during a romantic carriage ride amid the backwoods beauty of Disney’s Fort Wilderness. During the amazing experience, Astride thought to herself she could die a happy woman. She didn’t know the trip they won to Disney World also included a magical surprise. 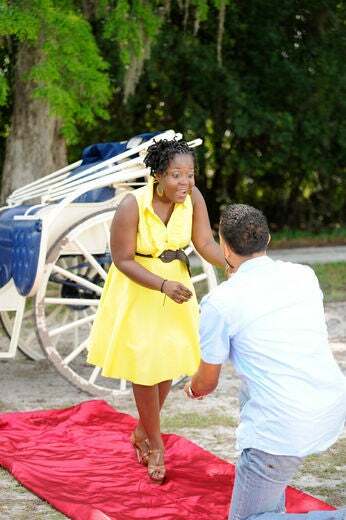 After helping his lady onto the red carpet, DeCarlos dropped to one knee and asked Astride to become his wife. Not only had he surprised her but her family had kept the secret. With their magical moment still fresh, DeCarlos is already looking to the future. “I see us being a powerful couple and helping the community together. I also see us building a home with kids. She wants a lot of kids,” he shares with a laugh. Why they want your vote: “She works everyday helping other people as a social worker. It’s time that she felt like a queen,” DeCarlos says. 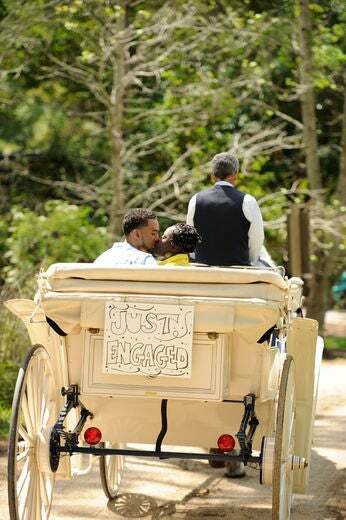 See more of DeCarlos and Astride’s story and their Disney World engagement in the June issue of ESSENCE.